Scottscope: "The Killer" Returns...in 3D?! Two of the most troublesome trends in current Hollywood are the proliferation of remakes and the careless application of the 3D conversion process. The former has actually been a factor for quite a while now, affecting mostly slasher and splatter films via studios like Platinum Dunes. The latter, kicked into high gear by the unprecedented success of Avatar, is seemingly being applied to any and everything that has even the slightest blockbuster potential. As much griping as movie buffs and casual fans make about such trends, both continue to score big at the worldwide box office. Money talks, and now even filmmakers in foreign markets are beginning to learn the language. John Woo, having recently scored an all time box office hit in his homeland with the extravagant two part epic Red Cliff, is now set to make a second try for respectability in the west. His first bid produced a number of films that rapidly decreased in both quality and box office grosses. This time, he is mining his past catalog of action classics, and will serve as producer instead of director. Essential Entertainment and Lion Rock Productions will commence with an English language remake of the heroic bloodshed classic The Killer. Korean filmmaker John H. Lee, known for romantic comedies in his native country, is set to direct. 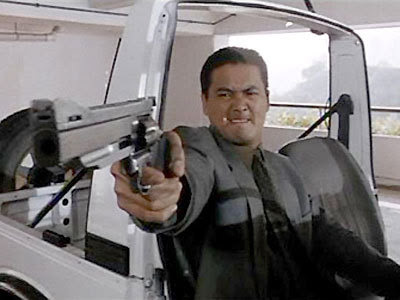 Jung Woo-Sung will be wielding twin semi-autos as the iconic title character originally made famous by Chow Yun Fat. Though a remake of The Killer is totally unnecessary, I am not completely opposed to the idea. The original, with its blend of balletic action and melodrama, was something of an oddity when it first arrived on American shores. Some recognized its genius immediately, while others found the style overdone and silly. In the wake of The Matrix, American audiences have become much more acclimated to the Hong Kong approach to action. They have also warmed a bit to the idea that high drama and high octane are not diametrically opposed to each other. In the current climate, a solid English language remake of a seminal Heroic bloodshed classic could turn out well. The 3D outfitting is what irks me about this. Aside from Avatar, I have yet to see one film that has truly benefited from it. Avatar was actually filmed in 3D as opposed to being converted after the fact. Pretty much every other film that has been presented in this format has undergone a conversion process, and the results thus far have been thoroughly disappointing. From what I can tell, the main purpose 3D glasses serve is to render a dim, blurry picture watchable. That Hollywood continues to employ this gimmick while not doing so in the most effective manner possible shows the contempt they have for the paying public. The Killer was a straight ahead action picture, and as such, I fail to see how a remake would benefit in any way from a 3D conversion. Aside from pyrotechnics and squibs, the original was not an FX heavy affair. There are no CGI creatures to speak off, or otherworldly environments for the camera to drink in. I've always assumed that abstract graphics such as the Death Star trench run from the original Star Wars would be prime candidates for this process instead of shootouts that take place in a terrestrial setting. Flying debris, bullets and blood spatters need not look as though they are popping out of the screen to thrill an audience. 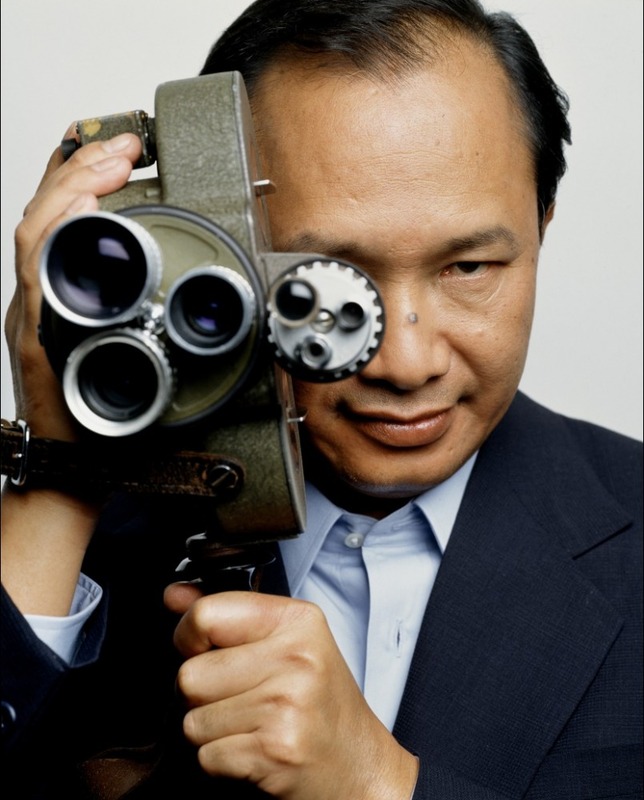 John Woo’s greatly diminished credibility with fandom notwithstanding, I still consider him to be one of the all time maestros of the action genre. No amount of bad Hollywood movies can tarnish the regal glow of A Better Tomorrow, The Killer, or Hard Boiled. Regardless of what the box office receipts tallied by mediocre entertainments such as Clash of the Titans and Alice in Wonderland might appear to be saying, 3D is not a necessity and is very rarely a bonus. Mr. Woo, proceed with this remake if you must, but please do away with the 3D conversion. Invest the money that would have been spent on that in developing the best possible screenplay. Now that would be money well spent.